Soca star Darryl "Farmer Nappy" Henry brings the spirit of Trinidad Carnival to the global masses with his new album Big People Party, available worldwide from all major digital retailers, as well as physical CD in stores, on February 25, 2014, with pre-order available now, from FOX FUSE. Celebrating over 30 years in music, the accomplished and acclaimed Trinidadian singer and songwriter delivers the very best that soca music has to offer with this new collection of hits on his third full-length studio effort. Big People Party is the only album that is released internationally by an artist during Trinidad’s Carnival 2014 season. Farmer also accomplished this major feat with his previous album, You Make Me…Surrender, released in February 2012 from FOX FUSE. That album received a coveted review and rating from MTV, garnering a tremendous 4 out of 5 stars. It was also featured in The New Yorker Magazine, along with numerous other international media, as well as in all the major news and entertainment outlets at home in Trinidad and Tobago. Blazing across airwaves and on playlists at fetes and festivals with his new blockbuster smash single “Big People Party,” Farmer Nappy is a top contender in the 2014 International Groovy Soca Monarch Competition, already securing his place in the finals, which takes place on “Fantastic Friday,” February 28 at the national stadium in Port of Spain, Trinidad. The lead single “Big People Party” is currently charting at #1 on several music charts in Trinidad, including topping the charts of Trinidad’s hit radio station, RED 96.7FM, and also top website, TriniJungleJuice.com. His other hit singles include “Family,” “Stranger” and “Minglin’,” and he collaborated with soca’s top hit-makers including De Red Boyz from Barbados, Precision Productions from Trinidad and Studio 758 (Penn & Ace) from St. Lucia, contributing to the album’s all-inclusive island vibes. Adding fuel to his fire, Monster Energy Drink has partnered with Farmer Nappy to be its brand ambassador from now through the Carnival 2015 season, further cementing his role as the prime representative for soca music, both at home and beyond. Having built a global fan base through his music and touring extensively for over two decades, Farmer Nappy is synonymous with bringing the sounds of mas to the masses worldwide. He is currently performing on more than 60 shows during this Carnival season in Trinidad, which began in January and culminates on March 4, known as Carnival Tuesday. 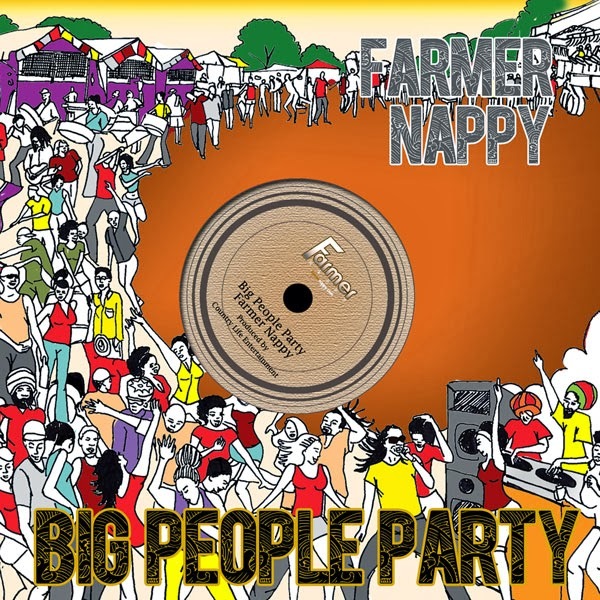 Armed with his new hits to stay competitive at home and new album on sale globally, Farmer Nappy is a true Caribbean music icon and cultural ambassador, and Big People Party serves up an ultimate musical celebration for all, for years to come.